Created in 2000, the Volvo S60 range boasts compact and innovative vehicle designs. Since 2000 when the S60 was first launched, Volvo has redesigned and redeveloped the range, improving each model by implementing all of the latest and most innovative dynamics and features. Back in 2000, when it was first launched, the original S60 range replaced the S70 and was designed with the P2 platform in mind, which was also used for models s80, V70, XC70, and XC90. Since then, the S60 Volvo range has undergone multiple facelifts, with each updated design becoming more innovative than the last. Today, the S60 range is one of the most incredible vehicle ranges in the world. There are currently three vehicles in the S60 range; these are the S60 Dynamic - a sporty design, the S60 Inscription - a luxury design, and the S60 R-Design - made to provide peak performance. Each model offers a slightly different driver experience while implementing all of the latest and most innovative vehicle design features. There’s no doubting the fact that the 2017 Volvo S60 packs a punch, that’s for sure. Each of the three new models are incredibly popular and have proved fantastic successors to the previous S60 designs. Seeing as Volvo is known as the car manufacturer that puts safety at the forefront of every design, it isn’t surprising that the 2017 S60 has been named as one of five of Volvo’s models to be a ‘Top Safety Pick’ for car drivers. The design earnt the highest rating in all the IIHS tests, as well as performing exceedingly well in the crash test. It’s safe to say the new S60 designs are built with a strong, sturdy, and safety focused design. The Drive-E engine that each S60 model incorporates reduces fuel consumption, making these cars incredibly efficient, without compromising on the smoothness of the drive. For any driver with a passion for energy efficient cars, this is the ideal vehicle range. Especially since the launch of the plug-in hybrid feature that Volvo are certain will allow all Volvo vehicles to become hybrids by 2020. Each model in the S60 range has a four-cylinder turbo and supercharged engines, meaning that these models offer the equivalent of vehicles with six or even eight-cylinders, offering more power. This means that each model in the range is able to quickly and easily reach top speeds, thanks to the power behind it. Each of the S60 models are not only powerful, fuel efficient, and fast, they are also some of the safest vehicles ever made and are packed with a selection of the most innovative vehicle technology that there is on the market. Keen to invest in one of the S60 range? Then why not browse new cars here and see which option is the best fit for your needs and price range? To learn more about each model, keep reading as all is about to be revealed. There’s no doubting that the S60 range is suitable for a diverse range of drivers, but the question is: what sets each model aside from each other? Complete with a bold exterior, the S60 Dynamic comes with a selection of Volvo’s usual standard features, as well as some specialist features that are unique to the model. 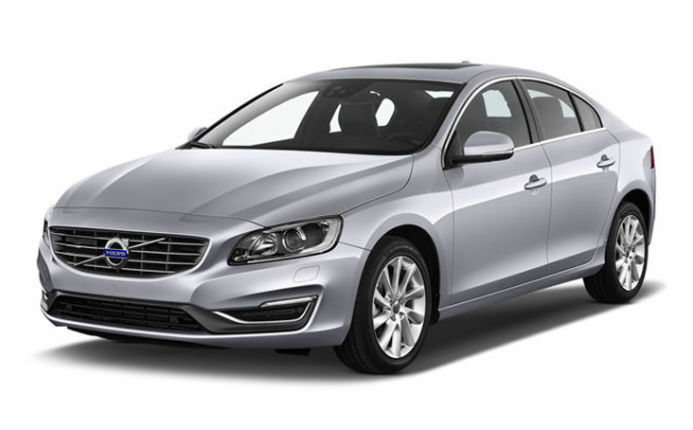 For drivers who love that sporty look and an energetic drive, the S60 Dynamic is ideal. Complete with Dual Xenon headlights and Active Bending headlights, a glass moonroof, leather sports seats, and a state of the art sound system, the S60 is an enjoyable car to drive. It’s efficient, thanks to its Drive-E engine, which gives a smoother and more powerful ride without using fuel as quickly. Thanks to its all-wheel drive, a feature that each model in the range has, the S60 Dynamic is able to be driven in any weather with ease. The Instant Traction function means that no matter what the weather, the vehicle has the best possible grip on the road, preventing skidding and sliding. How this feature works is that when a wheel loses traction, the car automatically reduces power on that wheel, transferring it to the wheels that have good traction. There’s also corner traction control, which uses Torque Vectoring to help the vehicle to pivot safely when going around a corner quickly. For drivers with a passion for luxury, the S60 Inscription is the ideal model as it provides a well-refined vehicle, complete with a smart, stylish, and luxurious design, both inside and out. The S60 Inscription takes the concept of luxury driving to a whole new level by featuring a spacious interior complete with accent lighting, walnut inlays, fine leather seats, and the most legroom possible, offering an amazingly luxurious ride. The S60 Inscription, along with the two other models, is fitted with Blind Spot Informations Systems, which makes changing lanes safely easier as it’s able to detect when vehicles are close to the vehicle or are in the blind spot. Adding to the luxury that this model offers, the Volvo-on-call app can be used to operate your vehicle from a distance away. The app can be used to start the engine, check the fuel amount, and turn on the warm air during the winter or air con during the summer, as well as being able to be used to lock or unlock the vehicle. The Sensus system, an inbuilt smart system, increases the luxury that this model offers again, allowing drivers to control information, entertainment, and vehicle features quickly and easily. Volvo’s top of the line model, the S60 R-Design, is made to provide the ideal blend of performance and pleasure. For drivers who love the concept of a powerful ride with an innovative design, the S60 R-Design is the perfect vehicle. While on the road, the S60 R-Design has been created to provide drivers with a performance like no other, complete with enhanced safety features like specialist cornering, and high performance and responsive handling. The S60 has Advanced Stability Control, which features a roll angle sensor which can detect the potential for skidding before the skid occurs, compensating for it with greater precision. This feature also helps to reduce understeering and can increase traction for enhanced stability. The 2017 S60 range could just be one of Volvo’s most innovative vehicle ranges yet.